We worked with United Welsh to create a bespoke character called BOB, a happy chappy whose role is to demonstrate how tenants can learn about and get ready for Universal Credit. BOB is short for Banking, Online and Budgeting which were the main points that needed highlighting to tenants. 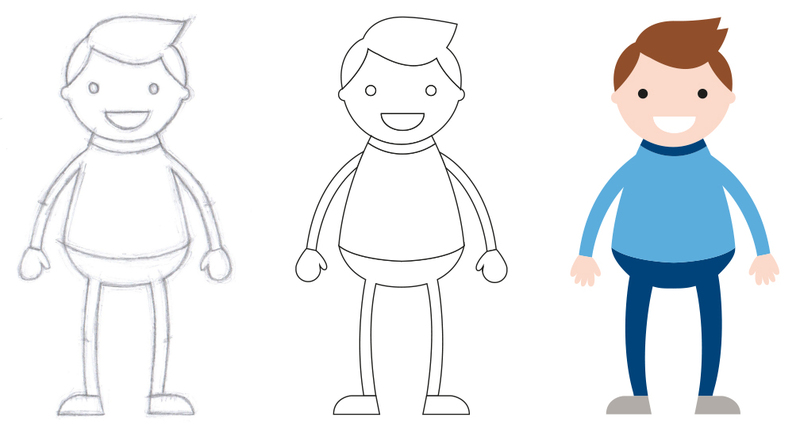 The character was initially sketched using pencil and paper with the lifework and colouring then developed in Adobe Illustrator. We used the vibrant palette from the United Welsh brand guidelines to enhance the positive and friendly approach. BOB’s simple and friendly illustration style makes him a versatile and dynamic character that can be used in a variety of different situations and poses. A leaflet was then produced to illustrate the key messages of universal credit in an engaging but informative way. 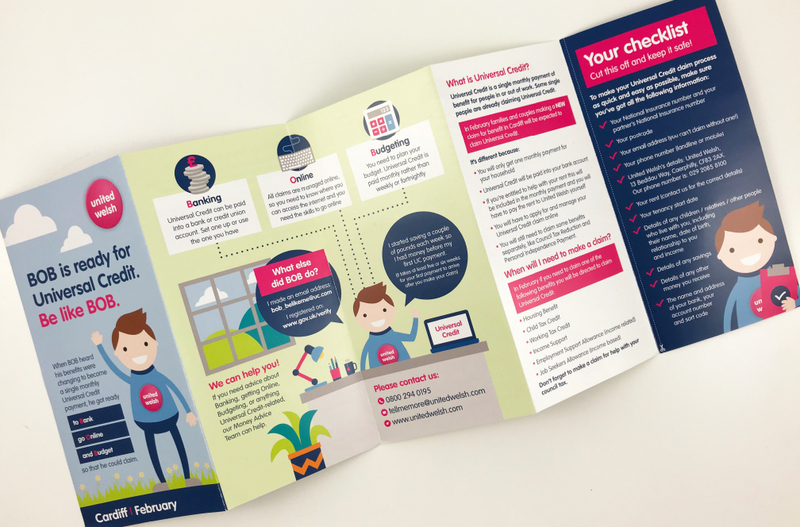 The leaflet design needed to strike a balance between appearing professional and allowing the simplicity and ease of the new benefits process to shine through. The leaflet has been such a success it has been reproduced for other organisations to help more people get ready for Universal Credit. In addition we have gone on to create a series of graphics using BOB to reinforce the information about Universal Credit on social media. These images have been able to reach wider audiences using the hashtag #belikebobUC. If you are in our area you can even see BOB on the back of a Cardiff Bus spreading the word about Universal Credit!